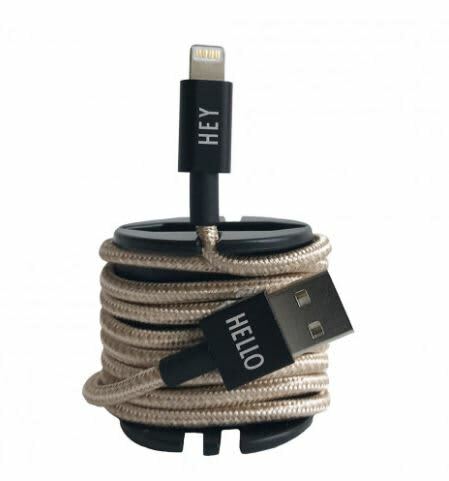 Cool lightning cable for Apple available in two fashionable colours to match your look and other personal accessories. The cable says HEY in one end and HELLO in the other end. A smart winder is included, for easy storage and transportation of the cable.